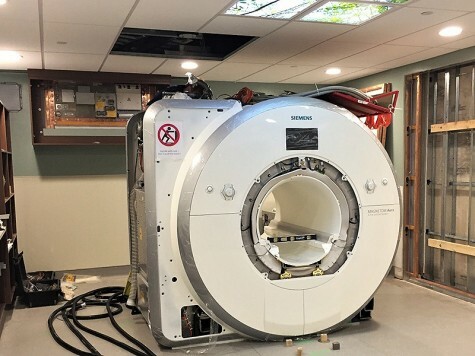 ​​Pictured above: The MRI Unit is now contained inside the recently constructed building addition, which is connected to Dauphin Regional Health Centre. The MRI Unit was successfully delivered to Dauphin Regional Health Centre (DRHC) on Monday, October 22, 2018. 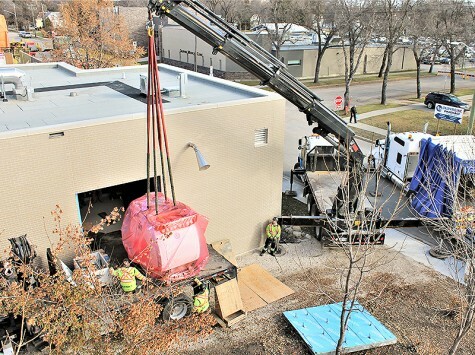 Crews from Winnipeg transported a majority of the MRI equipment, including the large magnet, which was the last piece to be carefully placed into the hospital. Pictured above: The MRI made its way inside the DRHC through a space that was left for the purpose of installing the superconductor magnet. Over the next month, the diagnostic equipment will be assembled, connected, and tested to ensure everything is functioning while staff receive extensive training. Then, the MRI is required to complete quality and safety inspections and accreditations before it can become operational. Once these key pieces of the operational plan are completed, it’s anticipated MRI exams for patients will begin in early to mid-December 2018. Two technologist positions have been filled, including a Senior MRI Technologist (Bridget Sahulka) and General Duty MRI Technologist (Krista Swanton). 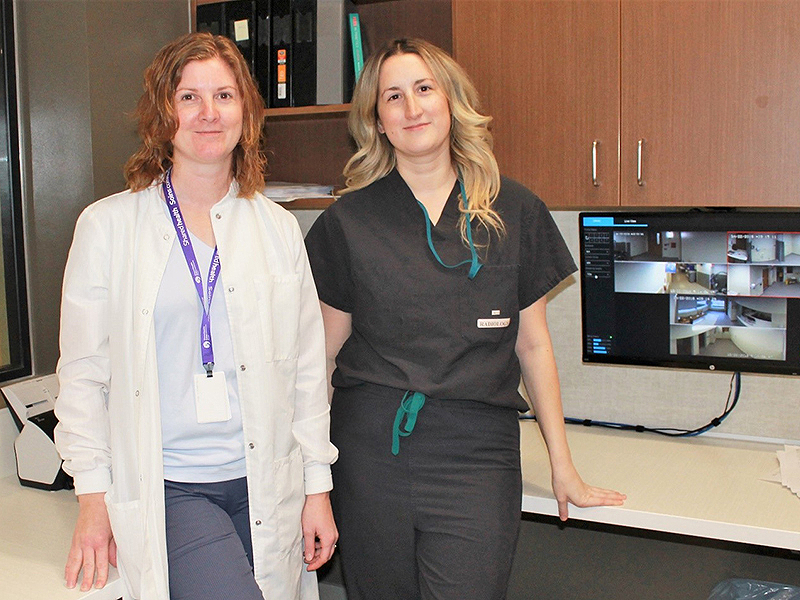 Both Bridget and Krista started their new positions with Shared Health in mid-September. We are currently in the recruiting stages for a third technologist. Pictured above: From left, Krista Swanton and Bridget Sahulka. Once operational, it’s anticipated about 3,500 MRI exams a year will be completed at DRHC.